How is it possible that in the face of encroaching materialism and a culture of sense gratification, a process which preaches the reverse is spreading? How is it possible that as problems and suffering increase exponentially on the global scale, transcendental happiness is also increasing? How is it possible that in the darkest age of Kali-yuga, the most ecstatic process of bhakti-yoga is spreading? How is it possible that millions of books preaching the essence of love of God have been distributed in dozens of languages? How is it possible that people of all nationalities and backgrounds have joined together to raise their arms and chant the holy names of the Lord? How is it possible that in cities throughout the whole world, hundreds of temples propagating the mission of Sri Caitanya Mahaprabhu have been established? How is it possible that in a remote corner of West Bengal, India, an international city dedicated to the service of the Supreme Lord is rising? It is due to the empowered military commander sent by Sri Caitanya Mahaprabhu to give Krishna consciousness to the whole world: His Divine Grace Srila A. C. Bhaktivedanta Swami Prabhupada, the Founder-acharya of ISKCON and the savior of the whole world. Srila Prabhupada has united the whole world in a way that is unmatchable. He has united people of all castes, creeds, countries, and other designations with the shared goal of loving service to the Supreme Lord. All ISKCON devotees – and indeed the entire world – owe Srila Prabhupada an unrepayable debt of gratitude. He should be honored and worshiped for his compassion, kindness, determination, fearlessness, and causeless mercy every day, but most especially on his Vyasa Puja day. A sampling of his invaluable achievement can be seen in ISKCON’s world headquarters at Sridhama Mayapur, the birthplace of Sri Caitanya Mahaprabhu. Here, Srila Prabhupada envisioned a vast spiritual city of 50,000 existing for the sole purpose of serving the mission of Sri Caitanya Mahaprabhu. 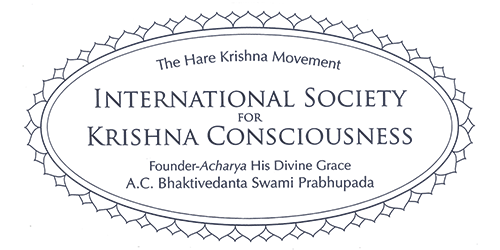 At the time when ISKCON gained the property in Mayapur, the land was nothing but rice fields. It was difficult for others to see how this remote and rural area would become anything at all. 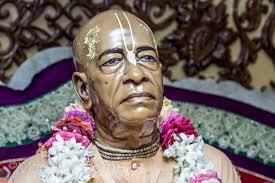 But Srila Prabhupada’s vision was spiritual and was not hampered by material limitations. Today, anyone visiting the ISKCON Sri Mayapur Chandrodaya Mandir in Sridhama Mayapur can bear witness to the fruition of Srila Prabhupada’s vision. 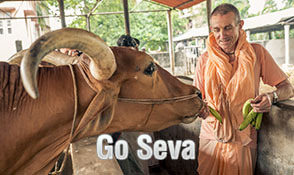 Approximately 5,000 devotees from almost 70 countries reside and serve in ISKCON Mayapur. Yearly, approximately 6 million people visit – and that number grows every year. Sridhama Mayapur is a hub of spiritual education, home to numerous schools for all ages. In the past ten years, around 4 million plates of prasadam have been distributed in ISKCON Mayapur. The Temple of the Vedic Planetarium, envisioned by Srila Prabhupada as the ultimate attack on modern scientific speculation, rises steadily into the skyline. Devotees from all across the globe visit Mayapur regularly, as Srila Prabhupada desired, in order to become enlivened and enthused by the mercy of the holy dhama. All of this is incredible, and none of it would be possible if not for Srila Prabhupada. It is only natural that on Srila Prabhupada’s appearance day, his Vyasa Puja is celebrated with great enthusiasm and devotion. The devotees of ISKCON Mayapur owe everything to Srila Prabhupada, and his Vyasa Puja day is the perfect opportunity to demonstrate their gratitude. 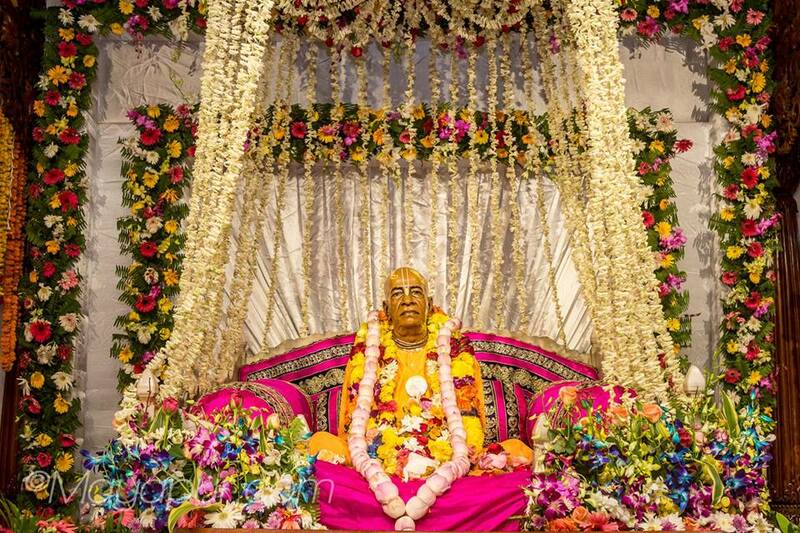 In fact, devotees are so eager to show their appreciation for Srila Prabhupada that the Vyasa Puja celebration cannot be contained in a single day. The celebrations start one week before. Preparations start months before. The entire community contributes to a Vyasa Puja book which is offered to Srila Prabhupada. The book is an artistic masterpiece, its pages intricately decorated with original artwork. It takes a team of devotees months to prepare. Devotees young and old write offerings for the book, expressing their gratitude and offering respect to Srila Prabhupada. Each day, starting one week before Vyasa Puja, devotees gather to honor Srila Prabhupada with arati, kirtan, personal offerings, and often artistic presentations such as dances and dramas. 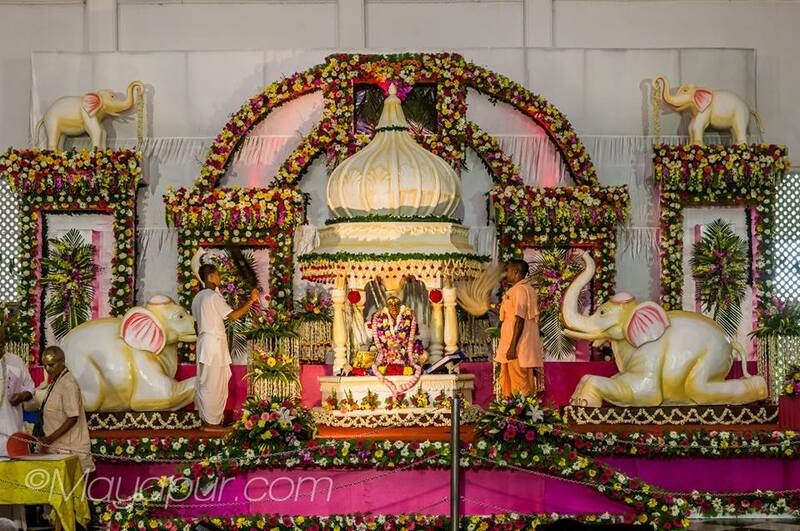 Different facets of the community of Mayapur, its schools, and some of its departments take turns hosting the Vyasa Puja celebrations and honoring ISKCON’s Founder-acharya. The culmination of these festivities is on Vyasa Puja day itself, when the entire community gathers in the temple to celebrate and offer their gratitude to Sri Caitanya Mahaprabhu’s senapati-bhakta, Srila Prabhupada. Senior devotees glorify Srila Prabhupada, who sits upon a specially constructed dais decorated elaborately with flowers. 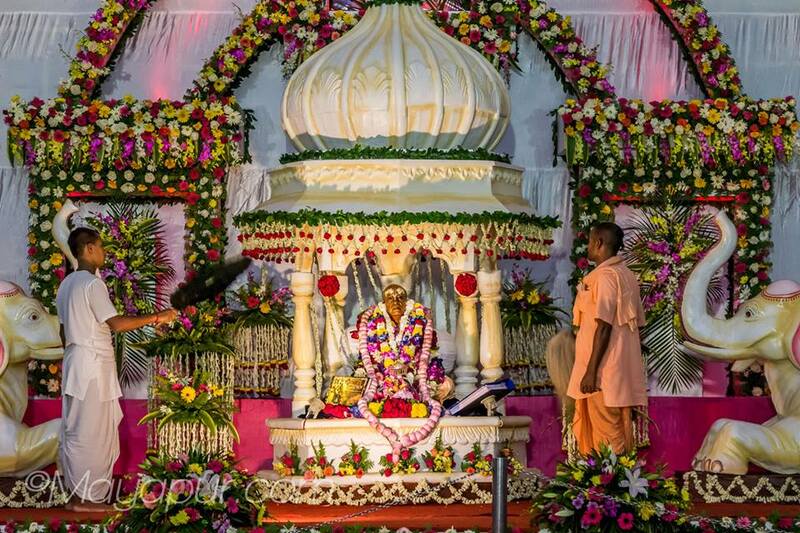 Abhisek for Srila Prabhupada is then performed, along with ecstatic kirtan, a maha-arati, and the offering of hundreds of sweet and savory preparations. Devotees spend the entire day immersed in glorifying and serving Srila Prabhupada, in whose debt we all gloriously find ourselves.